I had planned on The Mayor of Casterbridge by Thomas Hardy as my last book for the Victorian Celebration but then I received an offer from eNotated Classics to read one of their ebooks so I chose Tess of the D'Urbervilles - same author, different title. I first read it many years ago as a teenager and really only remembered how terribly tragic Tess's personal story was and the buckets of tears I cried. This time I had more understanding of the themes and appreciation of Thomas Hardy's depiction of rural English life. The story begins one day when the parson tells Tess's father, Jack Durbeyfield, he is descended from an ancient noble family, the D'Urbervilles. The irresponsible Durbeyfield parents, poor but also prone to drinking away what little they do have, discover a local family D'Urberville and send their daughter to work for them in the hopes of improving their fortunes and finding Tess a rich husband. 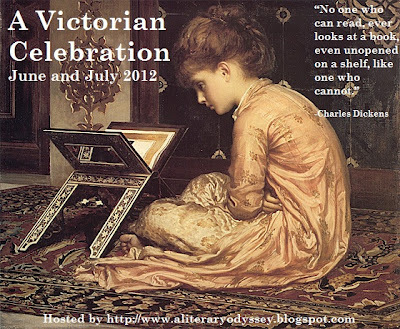 But Tess is seduced by Alec D'Urberville and returns home pregnant, a 'fallen woman'. Three years later Tess again leaves home to work as a dairymaid and meets Angel Clare, the man she will marry and who will also betray her. 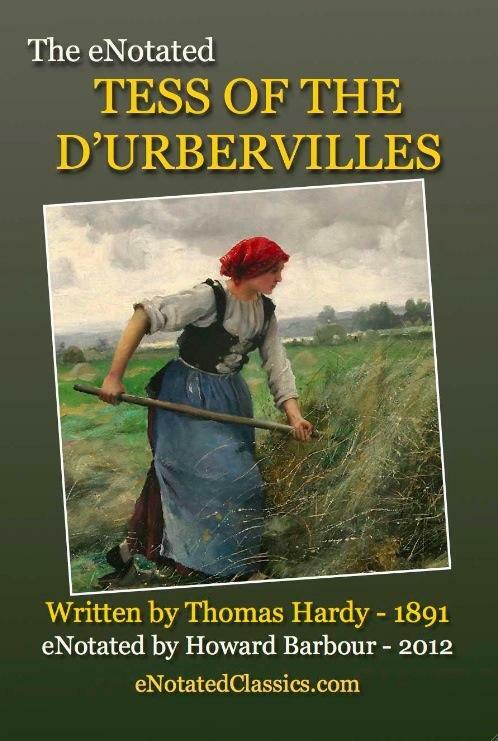 Thomas Hardy's beautiful, lyrical prose vividly depicts the rural way of life - the dialect, the old customs, superstitions and beliefs are fascinating and after thirty years as a farmer's wife some of the descriptions are dear and familiar. "The red and white herd nearest at hand, which had been phlegmatically waiting for the call, now trooped towards the steading in the background, their great bags of milk swinging under them as they walked." Hardy attacks the Victorian double standards, their attitudes to sexuality, class and women through Tess's relationships with Alec and Angel . Despite her good qualities and perseverance Tess is continually condemned to be a victim and powerless to defeat the stronger forces against her. Tess is symbolic of the old way of life, centred materially and spiritually around Mother Nature; both doomed to be destroyed by masculine greed and a repressive, patriachal religion. It's a tragedy that is so heartbreaking to read but with an ending that you know is inevitable. A deeply moving and thought provoking story of love and loss. eNotated Classics editions partner a classic with an expert on the author and period who create notes for the reader. It's the same as having notations at the bottom of a printed page and I found it very useful having them at my fingertip as I read. The eNotator for Tess of the D'Urbervilles is Howard Barbour. This edition of Tess also includes a biography of Thomas Hardy, a chronology of his life, a timeline of major events and 27 illustrations. Great review, Cat. I have mixed feelings about Hardy, I've read The Mayor of Casterbridge and whilst I did enjoy it as a whole, I didn't enjoy the focus on the rural setting. So I'm not sure if Hardy is an author for me. Thanks Sam - probably not the author for you if you don't like the rural setting. I'm finding a whole different perspective rereading classics I read when young. He really is an incredible author. I'm looking forward to reading this one! Great review, Cat! I've only read Mayor of Casterbridge, and I enjoyed it but haven't tried anything else by Hardy since. I should, though! Glad to hear about eNotated Classics, too!